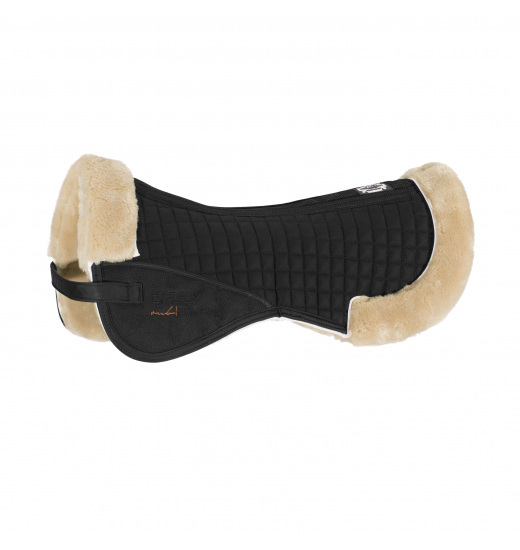 Versatile saddle pad. It is made of a solid quilted cotton. Its thick padding perfectly cushions impacts. From the bottom, it is wholly lined with fur. 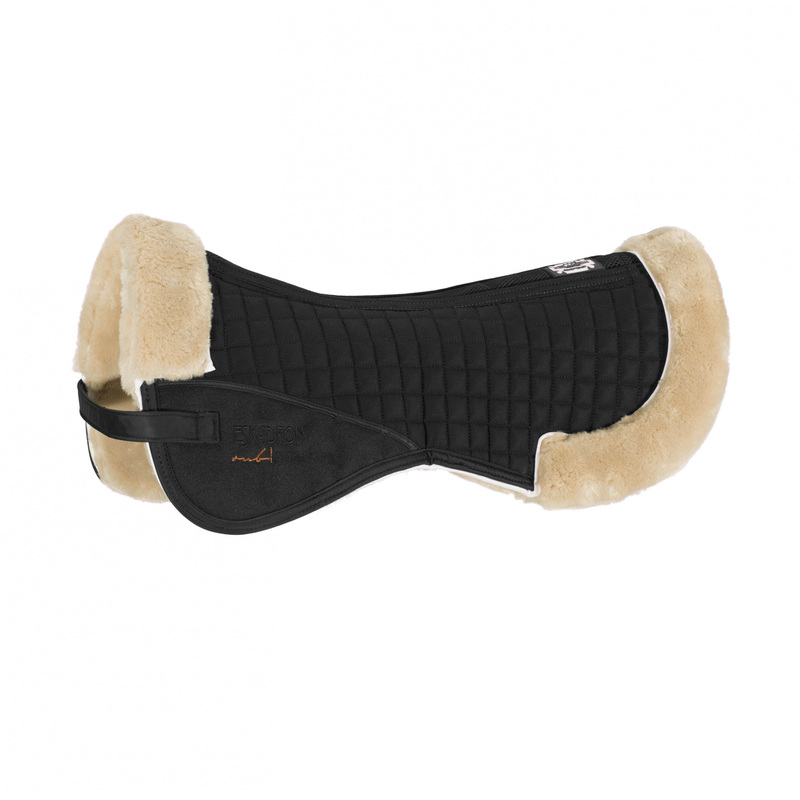 This pad is also suitable for sensitive horses. It can be attached to the saddle with velcro straps. In places most prone to tearing, it is strengthened with special material. This pad is decorated with an Eskadron inscription.